With its striking artwork and beautiful vocals, Fatima Basic's System of Venus hails from Melbourne/Australia ; the birthplace of Kylie Minogue's lips, home of the Great White Shark and lots of snakes. Jokes aside it sounds like a wonderful place. I love the Great White Shark and every stoner band I like seems to love to go touring in Australia. As I am sitting with my three wives and smoking my water-pipe in my home, I am damn jealous! What stroke me first was the calming vocals of Fatima and the concrete guitar tones . So I sent a message to Fatima to ask a little bit about her guitar tones. The warmth of Seymour Duncan pickups are very present in this album. The guitar is a Dean the amp that Fatima uses is Sherlock Fat Heat. For all the people who wonder about the tunings like me , the guitars are in drop D.
You know who you are selfie-takers, drop the phone to the ground! As I listen to Dr. Dumb ,Gannet's Drive, Nothing and Beast I liked System of Venus better. 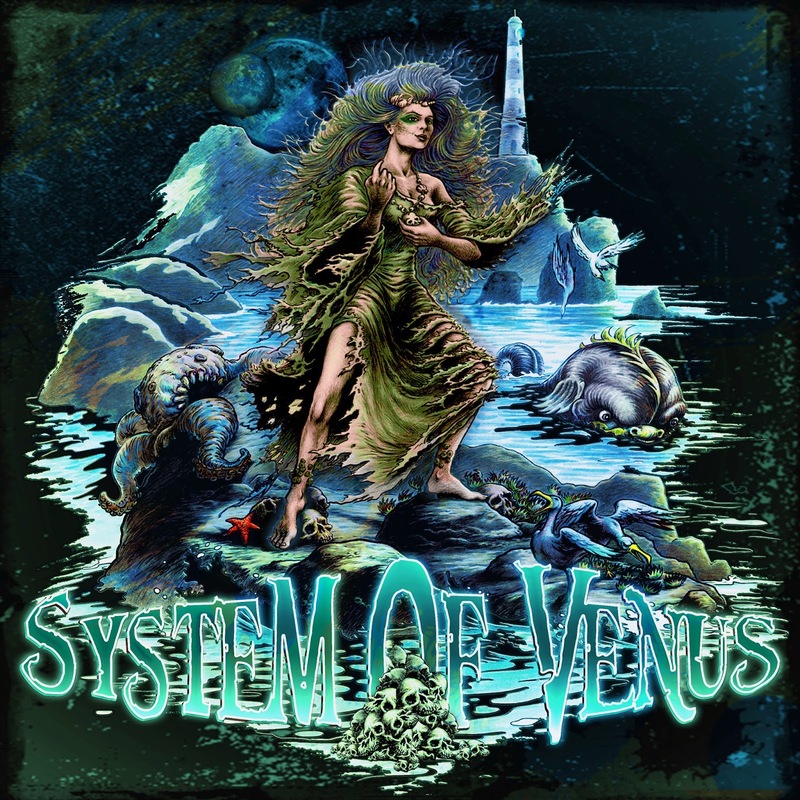 I think these songs define the approach of System of Venus with its song structure, beautiful vocals and grooves. Nothing, with its melancholic arpeggio intro and agressive chorus reminds of the days when I used to listen to Nirvana, Staind. It is indeed a beautiful song that brings back many memories. Beast , whose name we shall not mention here, reminds us about the atrocities in Bosnia back in 90's. Dr. Dumb is a fist to the face and Gannet's Drive is a brilliantly composed. At 4: 40 it gets better! It's like listening a correlation of grunge/rock and stoner riffs stacked together with just enough amount of aggressive and groovy progressions. System of Venus made a brilliant time-bomb of an album that is waiting to explode and define the new genre of groovy rock. I am a fan of sludgy, unearthly, incomprehensive tones and vocals but now and then one needs to listen different genre to expand the tastes . Check out System of Venus' website for more interviews. !